Most of us are familiar with the adage “Give a man a fish and you feed him for a day. Teach a man to fish and you feed him for a lifetime.” While the origin of this statement is unclear, it is a fine example of the kind of impact even basic experiential education can offer. The Association for Experiential Education (AEE), of which the Center is a member, defines experiential education as “challenge and experience followed by reflection leading to learning and growth.” Every day at our Blairstown Campus, our facilitators work with students and their chaperones to provide intentionally designed opportunities for challenge and experience. 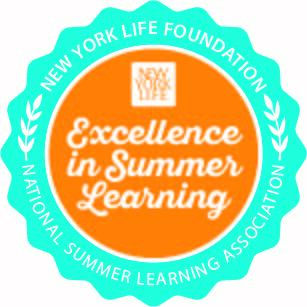 Facilitators are trained to reflect on the experience afterwards and to help students relate what they learned through the activity to their daily life in the classroom and at home. 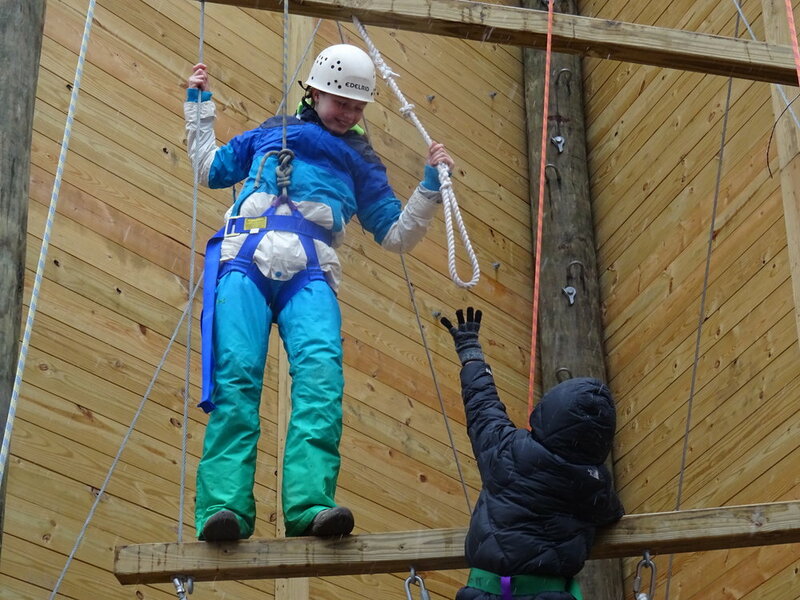 During an early Girls’ Adventure and Leadership Weekend, Emily, a shy eighth grader, experienced this first-hand when she agreed to climb up the vertical playpen on the climbing tower. When the girls in Emily’s group headed off to the climbing tower to don their equipment and tackle the three-story structure, she dutifully strapped on the required harness and helmet. And she watched. She watched girl after girl say, “ready to climb!” and make her way up the tower – those who were fearless went all the way to the top, and those who proclaimed themselves to be scared of heights, but climbed further than they thought possible. But, every time a facilitator asked Emily to climb, she said “no thanks.” Chyann was the facilitator with Emily’s group and was kind but persistent in asking. Each time Emily said no, Chyann asked, “are you sure?” and Emily would shrug her shoulders. Finally, the last girl finished her climb and Chyann announced it was almost time to head back, with one last questioning look at Emily. She gave Chyann a slight nod and the whole group erupted with cheers as they realized their friend was going to climb! Along with a friend as a climbing partner, Emily got about half way up the tower. She turned around with a giant smile and look of accomplishment for her friends on the ground. Once back on the ground, Chyann talked with the group about the experience of climbing up the tower and how it related to their everyday lives. The girls who were originally afraid of heights talked about how having the harnesses and friends belaying on the ground made them feel less afraid to start to climb and how when they are at home, they can take a chance on something that might be a little scary if they have support around them. According to the article, Tapping the Hidden Team-Building Power of Ropes Courses, in addition to providing the opportunity to test physical skill, when well-facilitated, the ropes-course experience also provides other opportunities for growth, such as introspection, confidence building, self-awareness, and team building. For Emily, throughout the rest of the weekend, she had a spring in her step and was much more vocal during group activities. She was already showing improved self-esteem that weekend by speaking up when one of her cabin mates pushed ahead of her in the line for dinner. Her chaperone reports that when she sees Emily holding back in group settings, she can offer a little nudge by asking, “Ready to climb?” and Emily smiles and steps up to speak her mind.